Sophia graduated from the University of Western Australia with a Bachelor of Laws and a Bachelor of Arts (majoring in English), also having spent a year abroad studying International Law at the University of Vienna. Sophia was admitted to practice in the Supreme Court of Western Australia in 2012 and the High Court of Australia in 2013. Sophia spent four years working for a prominent commercial law firm specialising in dispute resolution, acting for a range of clients in various courts and tribunals. In that time Sophia worked closely with His Honour Justice Tottle, prior to his ascension to the Bench. 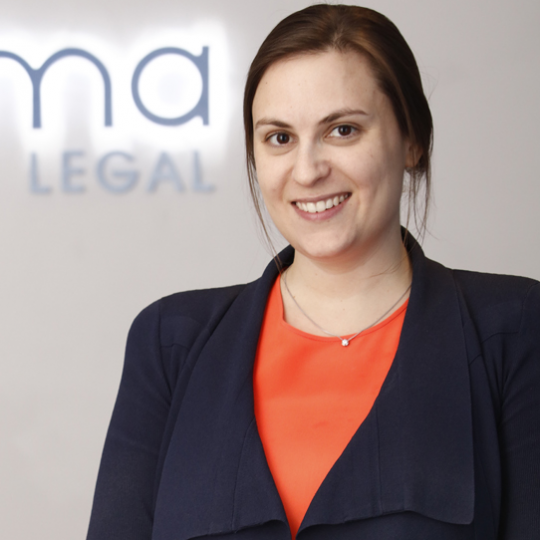 Sophia has valuable experience in the areas of commercial litigation, insolvency, intellectual property and defamation. Since 2010 Sophia has also been a case reporter for Lexis Nexis, writing headnotes for decisions delivered in all Australian jurisdictions and accessed by legal practitioners. On 1 July 2016, Sophia Kailis was promoted to Senior Associate within the firm.